BALL VALVE 1.5" NH x 1.5" NH (38mm x 38mm) Ball Valve with an unobstructed 1-3/8" (35mm) waterway. All lightweight materials, hardcoat anodized aluminum. Quick-change rear valve seat and stainless steel shut-off ball. Optional color coded handle covers available. 1.5" NH (38mm) rocker lug swivel inlet, and 1.5" NH (38mm) male outlet standard. VALVE W/GRIP 1.5" NH X 1.5" NH (38mm x 38mm) Ball Valve with an unobstructed 1-3/8" (35mm) waterway. All lightweight materials, hardcoat anodized aluminum. Quick-change rear valve seat and stainless steel shut-off ball. Pistol grip is mounted below the valve. 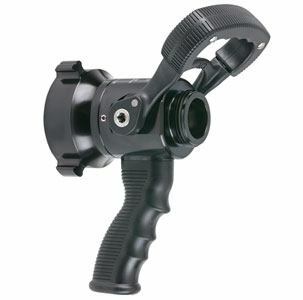 Optional color coded pistol grip and handle covers available. 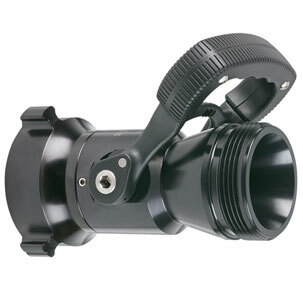 1.5" NH (38mm) rocker lug swivel inlet, and 1.5" NH (38mm) male outlet standard. BALL VALVE 2.5" NH X 1.5" NH (65mm x 38mm) Ball Valve with an unobstructed 1-3/8" (35mm) waterway. All lightweight materials, hardcoat anodized aluminum. Quick-change rear valve seat and stainless steel shut-off ball. 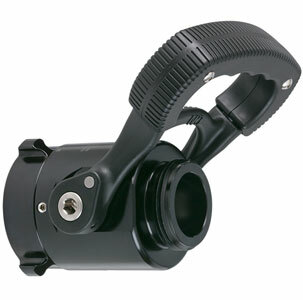 Rocker lug 2.5" NH (65mm) full-time swivel inlet, and 1.5" NH (38mm) male outlet standard. VALVE W/GRIP 2.5" NH X 1.5" NH (65mm x 38mm) Ball Valve with an unobstructed 1-3/8" (35mm) waterway. All lightweight materials, hardcoat anodized aluminum. Quick-change rear valve seat and stainless steel shut-off ball. Pistol grip is mounted below the valve. Optional color coded pistol grip and handle covers available. 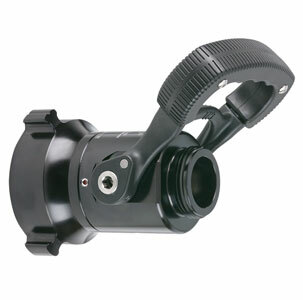 Rocker lug 2.5" NH (65mm) full-time swivel inlet, and 1.5" NH (38mm) male outlet standard. BALL VALVE 2.5" NH X 2.5" NH (65mm x 65mm) Ball Valve with an unobstructed 1-3/8" (35mm) waterway. All lightweight materials, hardcoat anodized aluminum. Quick-change rear valve seat and stainless steel shut-off ball. 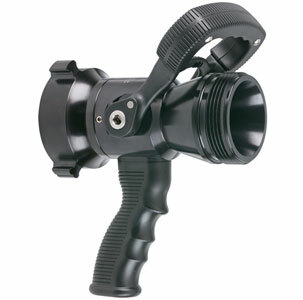 Rocker lug 2.5" NH (65mm) full-time swivel inlet, and 2.5" NH (65mm) male outlet standard. VALVE W/GRIP 2.5" NH X 2.5" NH (65mmx65mm) Ball Valve with an unobstructed 1-3/8" (35mm) waterway. All lightweight materials, hardcoat anodized aluminum. Quick-change rear valve seat and stainless steel shut-off ball. Pistol grip is mounted below the valve. 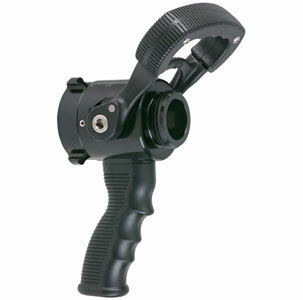 Optional color coded pistol grip and handle covers available. Rocker lug 2.5" (65mm) NH full-time swivel inlet, 2.5" (65mm) NH male outlet is standard.